Paychecks here aren't increasing much, analysts say, and the tight labor market will hinder growth. Mainers eager for respite from a year-end Arctic freeze better not look to the 2018 economy for any signs of warmth – most economists are calling for a tepid year. Personal income in Maine grew just 0.5 percent this summer, putting the state in 40th place nationally for the third quarter of the year. And looking forward, TD Bank predicted the state’s economy will barely nudge ahead in 2018, forecasting it will grow about 1 percent or less for the year. The two figures paint a disheartening picture for the year just ending and the one ahead. Despite a growing national economy and low unemployment rates – in Maine and nationally – paychecks in the state aren’t growing much and a tight labor market is likely to keep Maine’s economy from picking up steam in 2018. With population growth minimal and an aging population, Maine is not a good prospect for either expansion of existing companies or attracting new employers because the workers aren’t there. “You can’t hire people,” said Charles Lawton, an economist who has long followed the Maine economy and is a Press Herald columnist. Elsewhere, a stronger national economy – growing at 3 percent – is pulling back into the market workers who dropped out of the labor force in frustration after long stretches of unemployment. And new arrivals, whether from other states or outside the country, are contributing to an expanding labor pool that growing companies in other states can tap into. But Maine, particularly the northern part of the state, isn’t attracting new residents. The state has the oldest median age – 44 – in the country in part because younger people leave after college and older people opt to retire here. Business leaders have called for new efforts to attract workers to the state, but none of those efforts have produced significant results. As a consequence, there’s no large, available labor pool for businesses to tap in the state. “That just doesn’t exist in Maine,” Lawton said. Lawton and Catherine Reilly deLutio, the chief research officer of 45 North Research, both point out that Maine has significant differences in economic strength and weaknesses between north and south. For instance, the state’s northernmost county, Aroostook, had a net loss of 2,537 people from 2010 through 2016, while York, the southernmost county, gained 4,921 over the same period. Median household incomes also vary widely, with Aroostook coming in at $38,000 in 2016, compared with the wealthiest county, Cumberland, at $62,000. “Statewide economic measures mask stark differences across Maine’s regions,” deLutio said, and southern Maine has a much more vibrant economy than the northern and more rural parts of the state, which have been hit hard by a shrinking U.S. papermaking industry. Five mills in Maine have closed in the last three years. In addition to a more vibrant economy in and around Portland, Lawton said, extreme southern Maine has become a northern suburb of Boston, where the economy is strong. In fact, Boston, New York and San Francisco/Silicon Valley are attracting 60 percent of the country’s venture capital, leading to expansion and more plentiful jobs in those regions. Playing up that connection could lead some Boston companies to expand into New Hampshire and Maine, Lawton said, promising growth in jobs in vital economic sectors such as health care, pharmaceuticals and technology. Others say the economy statewide is not as bleak as it might appear from a few statistics. 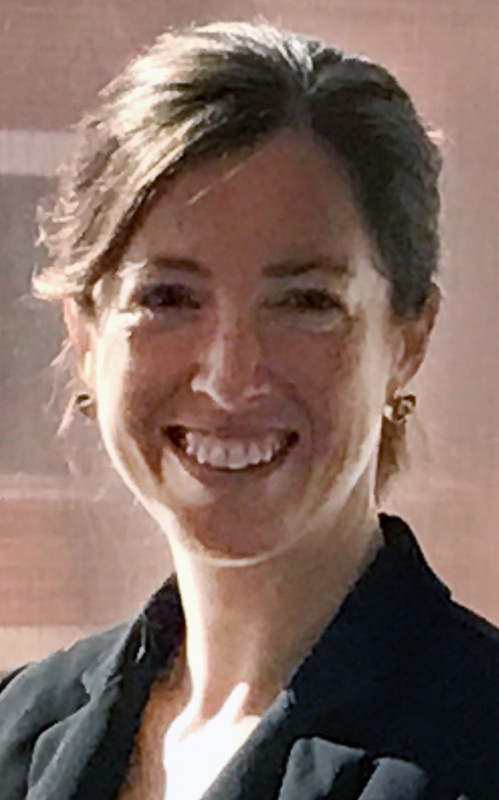 For instance, Amanda Rector, the state economist, said Maine “has a chance to see some solid growth” in 2018 and points to the state finally recouping the jobs that were lost in the Great Recession along with some signs that Maine’s population grew slightly this year, although deaths still outnumber births. She said that Census Bureau figures released this month suggest that net in-migration ticked upward slightly this year, and that could lead to job growth. But the longer-term outlook is less promising. The state’s Economic Forecasting Commission, which Rector advises, projects employment growth of 0.2 percent in 2018, but then three years of flat employment figures, for which it blames low in-migration and the aging population. It went on to point out that the unemployment rate was 3.7 percent in September, the 24th straight month the rate has been below 4 percent, which means it’s the longest stretch of such low joblessness in more than 40 years. That string has continued since the commission issued its report. But Sam Fratoni, the chairman of Maine Angels – a group of equity investors in Maine companies – said it’s possible to overstate the importance of the labor force in Maine’s economy. While the availability of large numbers of workers is important to big companies, which may need to hire dozens of skilled workers at a time, Maine needs to focus more on small startups that often require few local workers, Fratoni said. Software companies, breweries and other specialized startups can spring up in Maine with just the founding partners providing the labor, at least initially. “I think the key to the Maine economy is in the small startups,” he said, noting that $5 million a year in available tax credits through the Maine Seed Capital program is usually exhausted in September every year, indicating a strong interest by investors in backing new companies founded in the state. Fratoni said it might be easy to miss the impact on the economy of such small companies, but as they grow, they can expand out-of-state, producing more capital for use in Maine. A good long-term strategy is helping nurture the startups, even if it doesn’t add much, at least initially, to the state’s economic statistics. “This is how we help the economy grow from the bottom up,” he said, adding that he doesn’t share the hand-wringing over the exodus of college grads from the state.